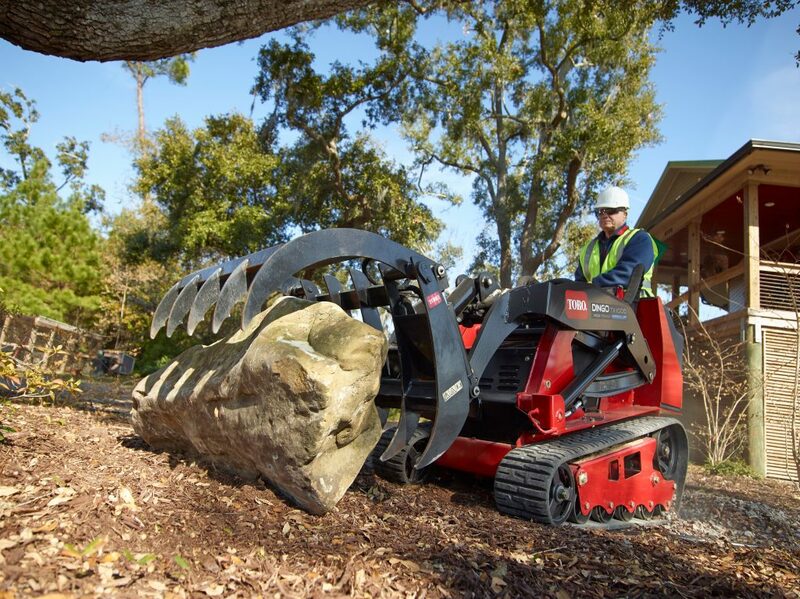 The Toro Dingo family of compact utility loaders offers powerful engines, easy-to-use controls and a smart walk-behind design that makes productivity a snap for all levels of operators. Easily access a standard 36″ gate with narrow track models. 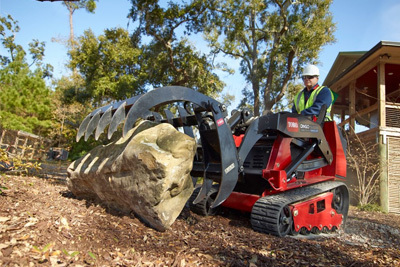 Clear sight lines to all moving parts of the attachment allows for precise control and operations. This allows any operator to complete jobs in a fast efficient manner. With the Dingo Quick Attach System™, changing an attachment is as simple as turning two levers. Hydraulic attachments require connection of two flush face quick couplers. Change most attachments in under one minute. Ask us for a demonstration of the Dingo line. Rentals also available in select locations.